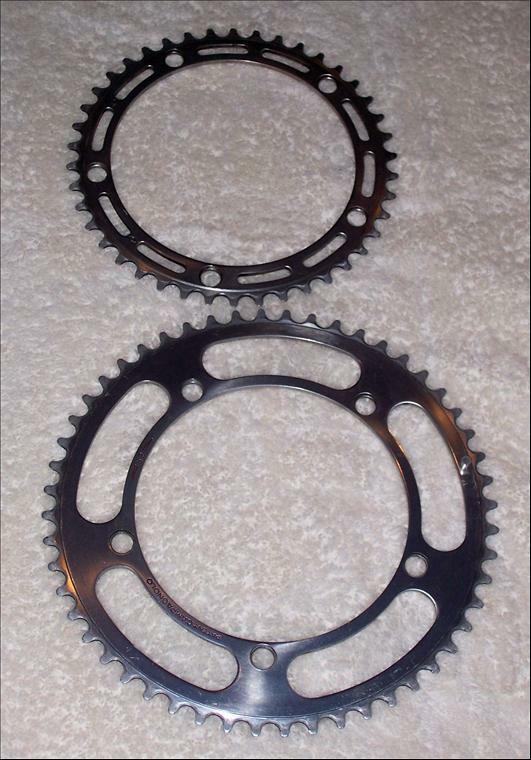 Crank rings used on the Nuovo Record crank set. The Super Record and Nuovo Record shared crank arms, the rings being the only difference between the two. Large ring typically was 50-54t, 54t shown. Smally was typically 42, 41 being the minimum.